NJTL Fort Collins has programming for all ages (K-17) and all abilities. From the youngest players starting out to the high school tournament player. Have a middle school or high school player that needs to get out and volunteer — we have opportunities for them too. NJTL Fort Collins uses the Net Generation curriculum for Red Ball, Orange Ball, Green Ball and Yellow Ball. Our staff has worked with beginners as well as with state, sectional and nationally ranged players. 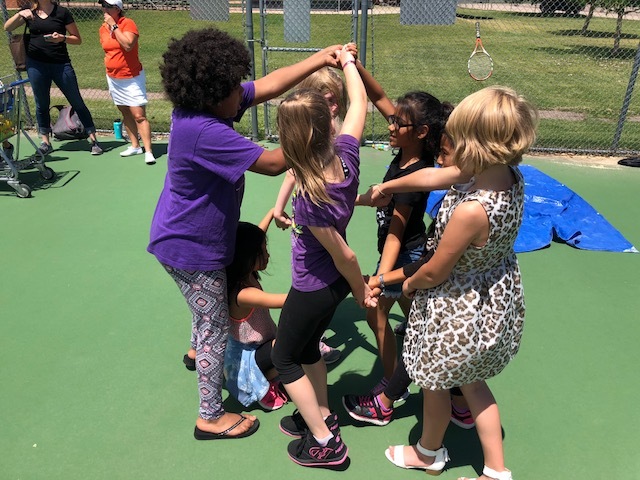 Fort Collins Locations – NJTL Fort Collins offers tennis programming at the Boys and Girls Club in Fort Collins, at a number of elementary schools in the Poudre School District, and with Lincoln Middle School. NJTL FC is also working with the City of Fort Collins Parks and Recreation Adaptive Populations and Northern Colorado Special Olympics (NOCO SO). The 2019 NOCO Special Olympics Tennis Championships will be held on July 26th, 2019 at Rolland Moore Park. Come out and enjoy the FUN! Other Locations (Loveland) — At the request of neighboring communities, NJTL FC is expanding to engage children at the Boys and Girls Club in Loveland. Other Locations — Have an idea of another location? Give us a call or shoot us an email.